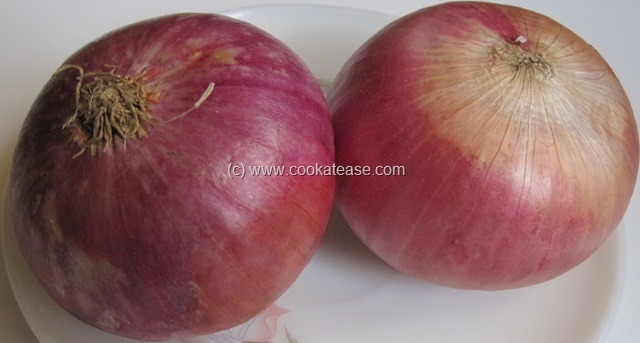 We all know that onion brings down tears in the eyes when it is peeled and also when its price goes up. Here is something more interesting. Onion, the common ingredient used in Indian food (also used in salad) has the potential to cure obesity, diabetes and high blood pressure. This is the outcome of the research conducted by the biomedical scientists of University of Southern Queensland. The research was carried out by Professor Lindsay Brown, Sunil K Panchal, Hemant Poudyal and Thiruma Arumugam (many names appear to be Indian). So far the research has been found successful in rats. Rutin, a non-nutritive component extracted from onion is found to have the potential to cure the above ailments. Rutin is also available in apple, tea and red wine (but onion is cheaper and easily available). Also, India stands second (first is China) globally as the top producer of onions (dry). Further research is planned to prove it on human beings. Read more from University of Southern Queensland. The information was very handy thank you.